Congratulations to A.R., winner of the 2 Power Vivid Pocket Flashlights. Today’s giveaway is the SoftSpeaker Pillow Speaker. 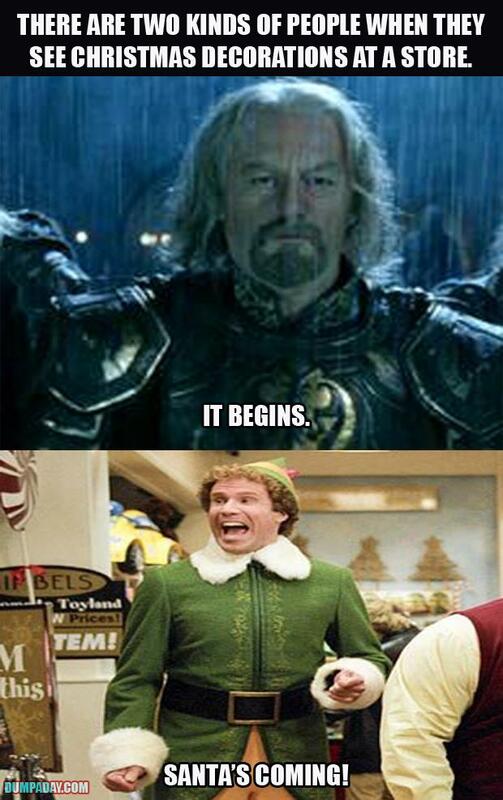 Today’s blog question: There are two kinds of people when they see Christmas decorations at a store, which one are you in the image below (King Theoden “It Begins” or Elf “SANTA’S COMING!”)? I am among the “It Begins” crowd, I don’t look forward to the spending and angst of the season. It begins – especially when it begins the day after Halloween. “Santa’s Coming! !” of course! What could be more fun!!! I’m pretty sure it’s more like the King ! I wish Christmas was more like Thanksgiving. More celebrating and less of a rush. Santa is coming and he’s watching you! I like them, but they seem to come too early in the present day. It’s beginning……… preserve perspective and calculate the consequences! But have a sterling time of it. Santa’s coming! Who doesnt love christmas? Santa’s coming…. Its about all that is left in me of my wonder child. The older I get the more I am becoming like King Theoden. I love all the decorations and lights, we drive around at night filling our eyes up. Santa’s coming… I love enjoying Christmas through the eyes of my children! I’m not familiar with either one. I like Christmas but the commercialization does begin too early. I’m Santa’s coming. I love the shopping for gifts to give to everyone. Santa Begins…. …(…”Who are you…?” …”I’m Santa”… ) …in the shadows… checking to see if your naughty… or nice…. King Theoden “It Begins” People are crazy. It begins…….I rev to high speed to produce crafts. 1976 Lionel Train set from my Godfather, still have it!